I’m told the middle weeks of January are historically the coldest part of the Minnesota winter. Right now the weather is definitely living up to that reputation. Although truthfully, I don’t really care about temperature. Cold is cold. Once you get below 20º F, it’s all a wash for me. Truthfully, I don’t really mind the cold and I greatly prefer winter’s layered fashions. This region’s maternal axiom is “There’s no such thing as cold weather — only insufficient clothing.” There’s a lot of truth there. The cold is manageable. But temperature tolerance aside, I’m completely sick to death of winter now. 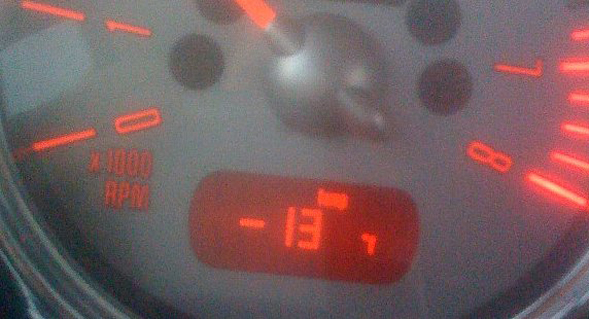 I’m tired of aggressive drivers on winter roads — roads slick in spite of sand and salt because the temperature is below the freezing point of salt water. I’m tired of darkness when I leave the office. I’m tired of having to layer up just to empty our dogs. I’m tired of seeing salt in every nook and cranny of our vehicles, on the edges of my shoes, and dried up the back hem of my pants. Most of all I desperately miss riding my Vespa. A bad day turns good in no time on two wheels. The wind, the visceral feel of the machine in my hands. feeling the physics in every turn and hearing the growl of all 200 cc’s — these are my release. Watching Long Way Down isn’t helping, as it’s the adventure of riding I miss most of all — even if it’s just the adventure of errands in city traffic. My bright spot, and lingering hope, is my memory of why I love Minnesota so much. It’s the rest of the year. I’d do winter twice if it guaranteed I could have Minnesota summer. Temperate, predominantly dry Summer where the sun doesn’t even get drowsy until 9:00 p.m. Summer where I can take the long way home on my Vespa, eat supper, then still ride for hours before it gets dark. I live for that glorious summer. Spring and autumn aren’t bad either. All in all, I love living in a place with four distinct seasons. I’m simply done with this one. Enough of winter already. Having lived in SoCal all my life I have nothing to relate that to. My occasional trips to our snowy mountains were few and far between for the surfer boy. Water temps of 60º were as cold as I could stand even with a full wetsuit. I could live in Baja California if my wife would let us so even thinking of anything below 40º has no appeal to me no matter how good I hear it is most of the year. When I worked at Selbert Perkins Design out in Santa Monica our interns were all from the Cincinnati school of design. I asked them at lunch one day did any plan on going back home? Each said no! My daughter’s MC came from Boston area. The drive home was incredible. Up State New York was spectacular. When I got back to California I washed and detailed the car. I was amazed that a car could have that much rust in such a short lifetime. Cheer up it can’t last forever. BTW… I wish there were more “Easterners” living here with your love and philosophy towards your geographical area. That’s just like Nebraska. Oh, except for all the redeeming qualities like a wonderful summer. Anyway, stay hot. …or culture, or countryside that isn’t cornfield, or a noticeably intelligent population. Although I will admit that I miss the wilder parts of Pioneers park. Not the ball field, but the prairie wilderness beyond the nature center. It’s like you’ve wondered into Narnia and the Elk would speak to you if you were kind. And by the way, Cale, I highly encourage you to move your fabulous blog onto a WordPress platform so that you don’t have to wade through Blogger’s failed attempt at openID in order to leave comments. The customization and admin controls are fantastic also. That’s what I’m running here. Turns out that wasn’t even the worst of it. Check this out! At least it only did this for about four days. Then it went back to normal 20s and 30s weather. One word comes to mind: testicicles.